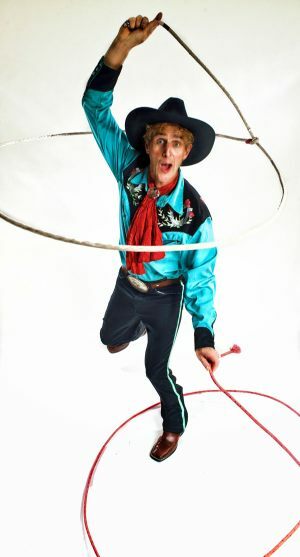 Leapin’ Louie Lichtenstein has performed his unique cowboy comedy show in 31 different countries around the world. You’ll see slapdash physical comedy and spoken comedy channeled through Louie’s modern western clown character. Plus world-class trick roping, whip cracking, and other odd stunts. No wonder they call him the most explosive Lithuanian Jewish Cowboy Comedian to ever come out of the Pacific Northwest.